Native Yoga: The Practice DVD now available!! Native Yoga: The Practice is the ideal yoga DVD for anyone who loves to practice the art of yoga. Now, for the first time, the Native Yoga practice is available for you to take home. This challenging one hour power vinyasa sequence is designed to serve as a foundation for beginning to intermediate students. Native Yoga is a strong and balanced practice that incorporates unique sequencing with emphasis on breath awareness. This DVD is filmed by Emmy award winning cameraman, Tom Fitz (www.fitzproductions.com) on the picturesque and tropical Jupiter Island, Florida. Audio file included so you can practice at home or on the go. Visit Todd and Tamara at Native Yoga Center in Juno Beach, Florida. 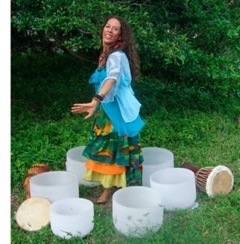 Native Yoga DVD coming soon!!! Coming soon!!! Native Yoga: The Practice is going to be available beginning next week. Stop in at Native to purchase a copy or visit our online store and have one mailed to you. 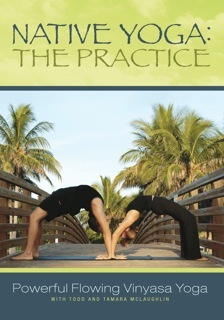 This DVD is filmed on picturesque Jupiter Island and features the Native Yoga Sequence at a a one hour pace. An audio file is included so you can listen to The Practice on your iPod or watch and listen on your mobile phone. Practice Native Yoga anywhere…anytime!! 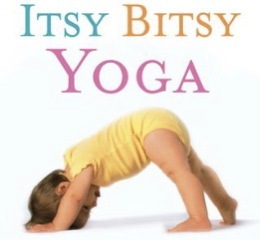 Tomorrow begins another session of Itsy Bitsy Yoga at Native. Click here to view details. Come this Saturday and completely Relax. IMAGINE—bathing in an exquisite ocean of 7 chakra-tuned Quartz Crystal Singing Bowls harmonizing your entire Being, as they reflect all light frequencies of the rainbow. These crystalline tones stimulate “alpha brainwaves” as in meditation, quieting the mind and allowing the body to unwind. I play each crystal bowl one at a time, allowing each tone to be fully experienced. Inspired tones and singing in the “Universal Language of the Heart” offer a lullaby feeling. A vortex for healing is formed, clearing the auric field, tuning the chakras, balancing the hemispheres 0f the brain, and most importantly….. creating alignment with our “Higher Self”.